About 2 months ago I took a deep breath, grabbed a pencil, and began filling out an application to take part in a 200 hour yoga teacher training. Hands shaking and heart racing, I wrote answers to the standard questions. Name. Age. Number of years practicing yoga. Turned the page. Stopped and stared at the medical history questions. Do you have physical injuries or illness? Umm, how much time do you have? Autoimmune disease. Lower back pain. Separated abdominals. Bad ankle. Ovarian cysts. Endometriosis. Are you trying to get pregnant? Yes. Are you pregnant? No (but thanks for bringing it up). Looked again at my answers--my body on paper. Is this a yoga body? Tears fell onto the words, smearing the answers. So I folded it up, tucked it away. Went outside. Took some deep breaths. Yes. This is me. My right now body. I can be sick and healing, grateful and shattered. Broken in places, yet still whole. Time to answer the the questions. Slip the application into a pristine manila folder. Walk to the front desk. Hand it over. Just me. As is. Ready to start. You’re in. Welcome to yoga teacher training. Get ready. We start soon. Super. Perfect. Wonderful. Wait. WHAT AM I DOING??? More specifically, have I lost my mind? Ah, there you are fear. I see you. Suddenly the image of every person I imagine awaiting me at teacher training clouds my brain. Probably twenty-something. Fantastically strong. Impossibly bendy. And just this vision of a studio full of Instaperfect yogis stops me cold. I can’t do a handstand to save my life and haven’t mastered chaturanga pushup. What if I don’t fit in? What if I’m not enough? Gotcha. The familiar soul-crushing, dream-killing combo. Fear + not enough. But this time the desire to become a student and teacher outweighs the fear. The thoughts don’t define me. They aren’t me. So I walk in. Simile. Say hello. Deep breath. Heart open. Enough in body. Enough in mind. Ready for now. Ready for what’s next. Looking ahead it all seems impossible. There is no way. I can’t. Definitely not. Week one of yoga teacher training and I’m shoulder deep in overwhelm + self-doubt. The only possible way forward: dig deep and hold onto the present moment. Don’t spend so much time looking ahead. Focus on now. Today. One thing at a time. Okay, then. Five poses. Cue the shapes. Deepen. Breath. Great. Got it. I can do this. Time to stand up and teach. Nope. No thank you. Hard pass. It takes all my willpower to stay put. To not to stand up and run. I don’t know how to do this yet. I’ll mess up. Make mistakes. In front of everyone. Stay in this safe zone where not trying means not failing. But then they call on me and I stand up and something comes out. Not sure what. It was sort of a blackout experience. The feedback: you did just fine. But we couldn’t hear you. Where is your voice? Oh. My voice? It’s stuck under the fear. I know it’s there, though. Directly beneath the surface. I can feel it. Almost hear it. So I keep standing up and making mistakes and letting it go and discovering what it right there waiting. It is so much better than perfect. Beginning feels like jumping into icy cold water. Breath catches. Gasping. Floundering. Flapping. Trying to figure out which way it up. Find the air. Breath in. Breath out. Let go. Find the float. Halfway through yoga teacher and realizing I just need to float. Give up perfect. Open up. Make a choice: a ) try to teach my 30 minute midterm perfectly--nail every cue, by the book, nothing missed; or b) simply go for it--bring my true self, make mistakes, leave things out, and oh that’s right, be vulnerable. B it is. So I show up. Really go for it. And midway through I realize--omg--I actually love.this.so.much. Every single word comes out with a giant smile because it occurs to me (late to the party, I know) that I’ve been missing the point. The perfect-seeking, thinking I need to look a certain way or bend a particular direction, fear of failure, all if it. That’s what was making the water cold. But now I realize it’s really just helping people connect with themselves and feel their breath and--of course--it’s not really about me. I went into yoga teacher training holding onto all that I’m not, clinging to the ways I don’t fit neatly into the box. You know this "yoga-box," right? Bendy, young, calm, thin, perfect, totally + completely zen. So I decided I was only there to learn. Independent observer, taking in the information, risking nothing. But, I also committed to the practice and to the work. Ten weeks. Practice. Do the work. I still can’t do a chaturanga pushup. Or a handstand. I’m still six feet tall, prefer yoga pants over jeans, and make awkward jokes when I'm nervous. But also I’m a yoga teacher. Or rather, I’m exactly who I’ve always been--teacher, storyteller, awkward joke-teller. After all of this I fully understand that there isn’t a box, or if there is, I don’t need to squeeze my way into it. So maybe you need to hear this today, if you’re feeling less-than, not-enough, or staying safe because you've bought into this idea, too, yoga or otherwise: there is no box. And you are right where you need to be. Trust that you are enough. Give me a task, a job, a day and I’ll make a list. I’ve always found lists comforting, a way to organize and categorize the chaos, and--I’m not gonna lie--I simply love crossing things off. The problem with lists, though, is that they quickly become unwieldy. Items get added without regard to what’s already there. Or to what matters most. This used to be me: I’d make lists. Then I’d go about trying to check things off, all the while adding more. Stuck in the cycle of never done, never enough. Every day ending with an uncompleted list. Then one day I (finally) realized that I was the one making the lists. So here’s what I did: I stopped creating impossible lists. Instead of the never-ending, I focus on three. Writing just three priorities each day--for work, for family, and for myself. Now that's the hard part. But also, the good part. Because the end of the day doesn’t mean a list of things that didn’t get done. Instead it means a short list of what mattered, plus lots of letting go of what doesn’t. What would it look like if you reframed your lists? Doing less to feel more. Perfectionism, at its core, is about the stories we tell ourselves regarding what and how we should be. It’s about creating aspirational, often unattainable, expectations and comparing where we are now with where we think we ought to be. And often it’s about beating ourselves up when we fall short or don’t hit the mark. Never mind that the expectations weren’t even possible to begin with. It requires suspending the reality of real life, constructing a world that is unachievable, and then berating or beating ourselves up for not achieving or accomplishing an effectively false reality. There’s an important difference between perfectionism and striving for greatness. As Brené Brown writes in, The Gifts of Imperfection: "Perfectionism is not the same thing as striving to be your best. Perfectionism is the belief that if we live perfect, look perfect, and act perfect, we can minimize or avoid the pain of blame, judgement, and shame. Perfectionism shows up in many ways, but has a particularly negative impact on health and wellness. 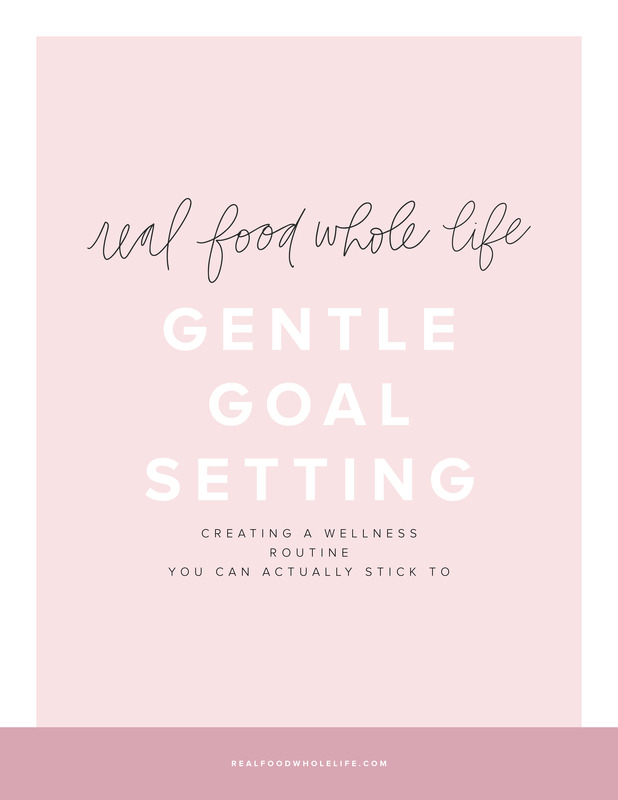 Because it may be tempting to strive to eat perfectly, move perfectly, and look perfect, attempts toward perfection can lead to frustration, overwhelm, self-criticism, and often abandoning healthy lifestyle habits altogether. On top of that, perfectionism may show up differently depending on your specific Wellness Personality. For example, a Dynamo might be stuck comparing herself to her own internal expectations, while a Seeker may be focused on comparing herself to what others are doing. And the Cultivator may be feel like everyone else has it figured out, and discouraged by how far she thinks she has to go. (Curious about your Wellness Personality? Take the quiz to find out your type and to grab your free resource guide!). The good news is that perfectionism does not have to be a way of life. Read on for the 5-step process to ditch perfection for good. Congratulations, you’re human! And humans make mistakes. Instead of viewing mistakes as a reflection of your self-worth, and immediately jumping to embarrassment, shame, and self-criticism, try reframing the internal conversation. When you make as mistake, a misstep, or slide into old habits, remind yourself that you are human and mistakes are a normal part of the learning and growing process. Take a moment to self-reflect on your personal values, and whether meaning is more important than perfection. If it is, become more mindful of moments when you consciously choose meaning over perfect. Maybe that looks like a 5-minute walk in the outdoors, even when you can’t get to the gym for an hour. Or perhaps that looks like roasting a few veggies and grabbing a rotisserie chicken from the store in favor of an elaborate dinner. If self-compassion is perfectionist kryptonite, let's have more of it! Self-compassion simply means extending the same kindness and empathy to yourself that you do to others. Here’s what to do: the next time you find yourself falling into the perfectionist mindset, try imagining that you’re talking to a friend or child. What would you say to him or her? Would you share kind and empathetic words? If so, try sharing those same words with yourself, and remember: gentle is the new perfect. Procrastination is a sure sign that you’re stuck in a perfectionist mindset. Putting off the workout because you can’t fit in a full hour. Skipping meal prep because you don’t have time to prepare a full week’s worth of food. Not meditating because it’s difficult to sit for 20 minutes. The next time you find yourself procrastinating or putting something off that you know is important for you health and self-care, ask yourself: am I avoiding this because I have an expectation of perfect? If the answer is yes, there’s a simple answer. Some, in this care, is most certainly better than none. We all know that consistency is key when it comes to long-term success. But we get into trouble when we confuse consistency with perfection. Consistency does not mean being perfect, or hitting the mark every single day. It means showing up and doing the work most of the time. Do it more than you don’t. Ready to take things next-level? 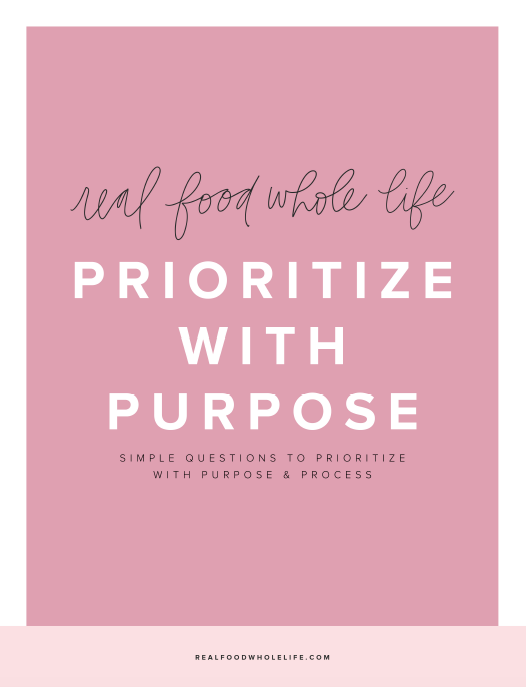 Take the Wellness Personality Quiz and grab the free resource guide, packed with curated tips and tools just for you. pin this post for later or share it with a friend!